This certificate has been developed to provide clinicians with a university-level post-professional educational opportunity to acquire information about normal and disordered speech and language, and become familiar with assessment and intervention materials for Francophone populations. This program is a joint initiative between the Faculty of Rehabilitation Medicine and Campus Saint-Jean. Funding, including individual student bursaries, has been generously provided by Health Canada (Santé Canada) through the Consortium national de formation en santé project (CNFS) and through Campus Saint-Jean. Course costs vary slightly from year to year. Please check the website for the Office of the Registrar for information about the cost of the course(s) you are interested in completing. For students intending to complete the certificate program, a bursary of $300 is generously provided by the Government of Canada (Consortium National de Formation en Santé) after successful completion of each certificate course. 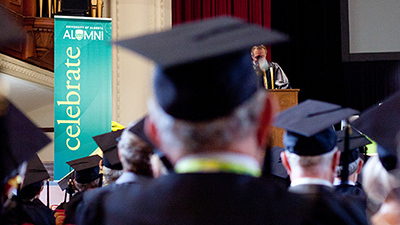 Note: Scholarships are only available to Canadian citizens and permanent residents. A certificate will be granted upon successful completion of REHAB 560 and any two of the following graduate-level credit courses, as listed below. All courses will be taught in French. There is a tremendous need to support speech-language pathologists working with dual-language Francophone populations in Alberta and other areas where French is a minority language. Please begin the application process for program admission by visiting the FGSR website. PLEASE NOTE: Prior to finalizing registration, please contact Camille Gregoret to ensure adequate language competency. It is the responsibility of the student to add/drop courses before the deadline to avoid penalties. Refer to the University calendar for add/drop deadlines for REHAB 560. Please contact Vicki Trombley at the Department of Communication Sciences and Disorders immediately to drop any one of the francophone certificate courses. Which semester (Fall/Winter/Spring) of which year would you like to start this program? 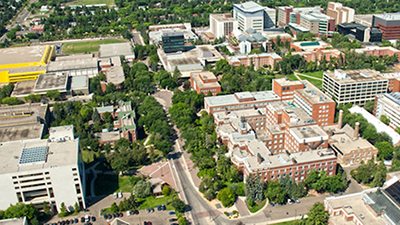 Speech-language pathologist with a Master’s degree or equivalent from a recognized university who is eligible for registration in the Alberta College of Speech-Language Pathologists and Audiologists (ACSLPA) or the equivalent in your province of residence. Graduate student in an SLP training program at a recognized university with departmental permission to enroll. 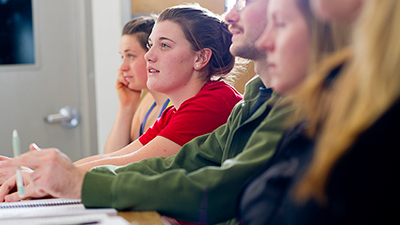 REHAB 560 and REHAB 563 are open to students with a French background from other disciplines such as education, linguistics, psychology, etc., with permission from the Department of Communication Sciences and Disorders. Because all instruction is in French, students must be proficient in oral and written French. It is the responsibility of each student to determine whether his/her level of proficiency in French is adequate. Students can access a self-assessment tool through the Centre des niveaux de compétences linguistiques canadiens to help determine their level of French proficiency. This tool provides a framework for understanding the level of French abilities required for different functions. It is recommended that students will need to at least meet levels in the range of 7 to 8 for all parts of the test. Understanding of current research in second language acquisition. Understanding of linguistic, psychological and social factors associated with multilingual communities. Understanding of typical speech sound and language development in French as well as speech sound and language impairment in French and among bilinguals. Ability to assess speech sound and language development of French-speaking children, select treatment targets, and assess treatment progress. Opportunity to establish professional networks with SLPs and students across Canada. REHAB 560 is offered online from May to the end of June. REHAB 561 and 562 are offered in alternating years during the first three weeks of August. These courses are offered in Edmonton at the Campus St. Jean. 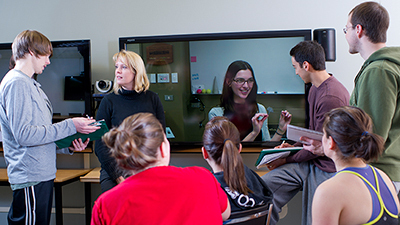 Student participation by video-conference is also possible. REHAB 563 is offered online from January to March in alternating years. Who can provide me with more information? REHAB 560 and REHAB 563 are open to students with a French background from other disciplines such as education, linguistics and psychology.